The Grand Opening and Ribbon Cutting Ceremony of our South Central Facility was a huge success! We would like to express our sincerest gratitude for those who came out and supported us! Guests included were Mayor Sylvester Turner, Congresswoman Sheila Jackson Lee, Harris County Commissioner Rodney Ellis, Senator Borris Miles, State Representative Shawn Thierry, Reverend Paul Giddings and many other distinguished guests. 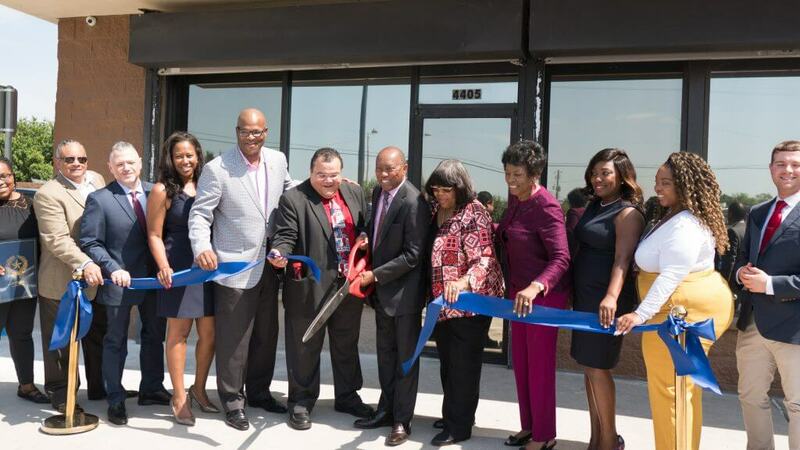 Patrice Williams COO, Dwight Boykins (City of Houston Council Member District D), Dr. Luis Torres (Board President), Mayor Sylvester Turner, Alma Allen (Texas House of Representatives), May Walker (Constable, Harris County Constable Precinct 7) April Peer CFO, Ashley Turner.